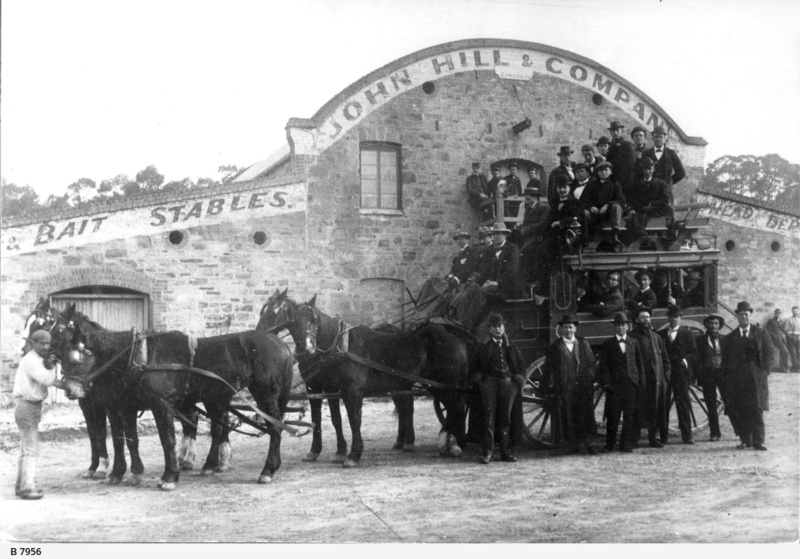 Hill & Co. coach at their Stirling west stables situated between the Stirling Hotel and Druids Avenue . The coach is filled with passengers inside, on the roof and at the front with the driver. Several men are standing near the coach wheels. Five horses have been strapped up to pull this load.